Lambert Adolphe Jacques Quetelet may have been a stargazer, a musician, and even a poet, but he was no dreamer. His work regarding the collection and quantification of data influenced science and social science for decades. He is best known today as a statistician. He was in some ways a Renaissance man, a perfect candidate for our series on fascinating Victorians. Born in Belgium. His father, a Frenchman, had served as secretary to a Scottish lord, lived briefly in Italy, and held British citizenship. Quetelet grew up in Ghent and lived most of his life in Belgium, but he eventually held membership in academies of science in numerous countries including Sweden, the Netherlands, the Royal Academy in London. His interests were as broad as his international relationships, but poverty almost hampered all ambition. Adolphe’s father died when he was seven. When he left secondary school at seventeen, he had to earn his living. He took a job as a teacher of mathematics, but his interests in that period leaned toward the artistic. He apprenticed with a painter and produced well-received canvases. He wrote and published poetry and even composed an opera. Young Quetelet’s mathematics skills, however, attracted the attention of professors at the newly established University of Ghent. His doctoral dissertation met with wide acclaim and by age 23 he was offered the chair of elementary mathematics at the Athenaeum in Brussels, a military academy. 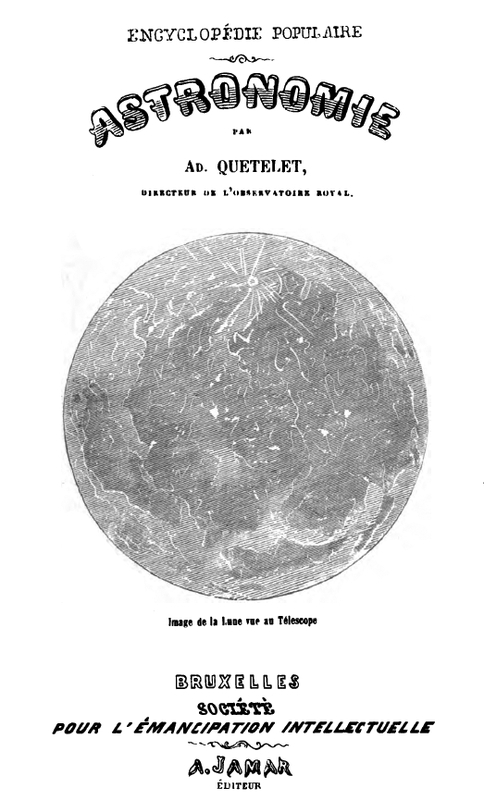 While his appointment unleashed a flood of publications in mathematics and physics, Quetelet’s actual preoccupation became astronomy. He began a project to create an observatory, one disrupted by financial problems and civil war that ultimately took almost ten years to complete. 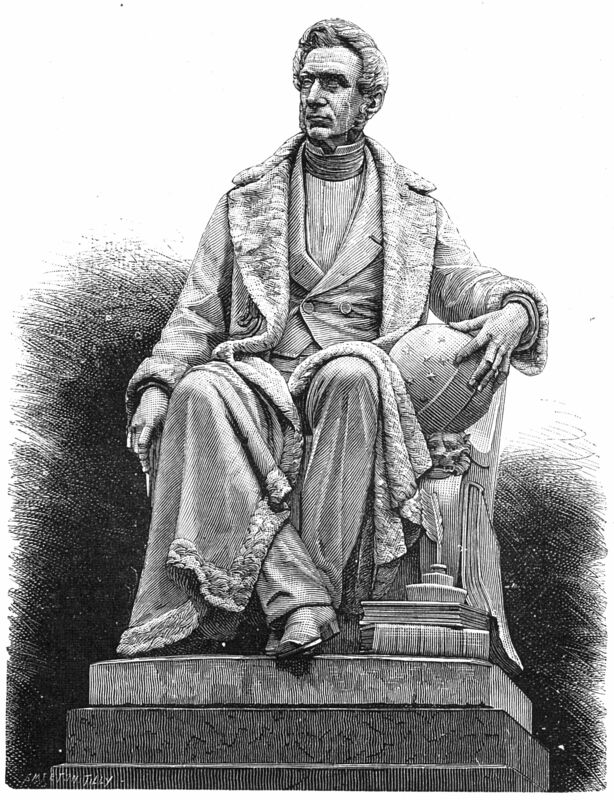 During the construction of the observatory, he spent time studying in Paris, and became fascinated with statistics. He was among the first people to apply statistics and measurement to the social sciences, which he called “Social Physics.” In both the natural and in social sciences, Quetelet’s brought a passion for uniformity in data collection and tabulation to the work that became influential across Europe. When Belgium formed a Royal Statistics Commission, Quetelet worked at creating in such quantitative information as mortality rates, crime rates, and actuarial tables. He finally took up residence in the observatory in 1832 and never lost interest in that field. In 1835 he became the first to recognize that the August meteor shower, which we now call the Perseid shower, appears to emanate from the constellation Perseus. 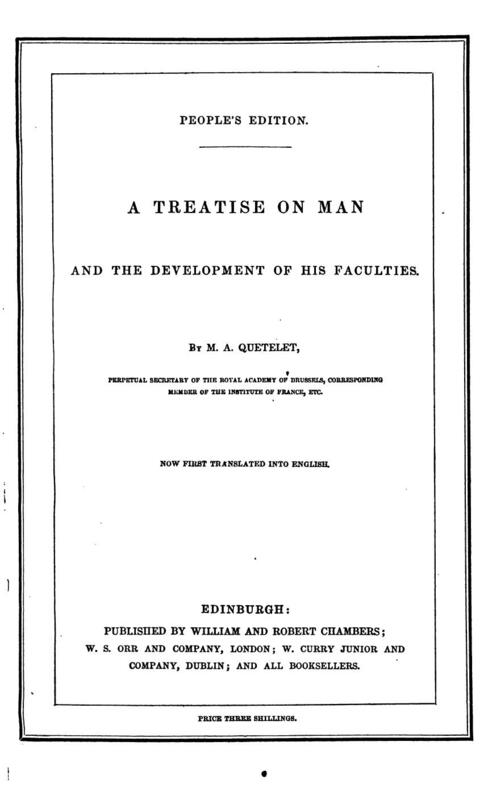 That same year he published Sur l’homme et le developpement de ses facultes, ou Essai de Physique Sociale known in English as A Treatise on Man. In it he laid out his concept of the average man, one who could be identified through various measurements. A critical piece of that work was the Quetelet Index, a measure still used today. Since 1972 it has been known as the BMI, Body Mass Index. Quetelet’s range of interests and knowledge stagger. He never lost his love of music, and his wife was an excellent musician. The pair entertained friends and colleagues at regular dinner parties. Though not well during the last years of his life, he continued to research and publish prolifically throughout his life on topics from physics to probability theory and to pay a key role in the establishment of census and statistical organizations in numerous countries. 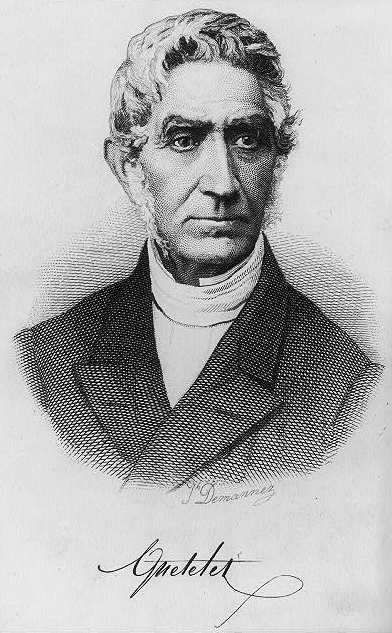 Adolphe Quetelet died in 1874. Her current series, Children of Empire, is set in the early Victorian era. She came across Adolphe Quetelet while researching the Perseid meteor shower for The Reluctant Wife, which includes a romantic scene under the stars in the desert of Egypt in 1835, the same one observed by Quetelet himself. Wow.. Hats off Quetelet . People say: U can only be Jack of all trade; but master only one.. The example late Mr. Quetelet is slap to that stereotype idea.. He is surely Master Of Many trades. Inspirational. #Respect..
Really informative blog.. Keep sharing. Great article, Caroline, on a man whose accomplishments certainly make most of us look like slackers! It is interesting that he is not more widely known given his contributions to the fields of science and social science. Thanks Linda. I was rather amazed when I stumbled on him. Quetelet is the quintessential man of yesteryear, although his interests outpaced most of his colleagues. It constantly amazes me how diverse our predecessors were. I’ve been doing some research on Thomas Jefferson, who was an author, politician, inventor, botanist, etc. Who does that today? Nobody! Although some of the Silicone Valley types may. Something to strive for. I’ve never heard of Lambert Adolphe Jacques Quetelet.